It used to be that only purebred puppies and dogs commanded a pretty penny. Though a lot of people still have this impression, it’s no longer the case. A new player has arrived in dog town. Well, relatively new. Designer dogs have now joined the mix (pun intended) of expensive pets. A designer dog can now easily fetch the same hefty price as a purebred. Behind the success of any designer dog is, you guessed it, a successful breeder. And breeding done right is expensive. 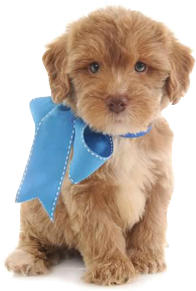 Though the Goldendoodle’s runaway success is mainly due to the ideal combination of its parent’s traits, a professional breeder took great care in ensuring that the breeding stock is free of certain health conditions.